Fruit smoothies are an easy-to-drink nutrition source. The challenge of a mouth cancer diet is your ability to eat enough of the right nutritional foods even while living with the side effects of treatment. To meet the challenge you may need to change the way you eat your food. Once you've been through surgery, radiation or chemotherapy, many of your body's healthy cells may be damaged or destroyed. Your body needs a higher amount of nutrition to repair the cells. Without this nutritional boost, you could face malnutrition. Malnutrition occurs when your body is forced to pull nutritional supplies from your fat or muscle tissue, because it is not getting enough in the food you eat and drink. Often people stop eating or only eat a limited variety of foods when going through cancer treatment. This prevents them from getting the nutrition they need. You should cut back on salt, fat, alcohol and sugar. These items not only affect blood pressure, kidney function and your heart - but tests have shown that sugars can actually feed a tumor. The National Cancer Institute reports that about one-third of all cancer deaths are due to malnutrition. Your survival depends on your ability to maintain proper nutritional levels, even when side effects are debilitating. No specific mouth cancer diet exists. Your doctor or dietician will recommend that you concentrate on developing an eating plan that makes sure you receive vitamins and minerals your body will need to have a balanced diet. Eat the most when your feel the best, such as in the morning or mid-day. Rinse your mouth before eating to get rid of any unusual tastes. Take very small bites and chew the food until it is liquefied in your mouth. Trying soft or moist foods that are easier to chew and swallow. Poaching fish in liquids or adding creams and gravies to foods will make them easier to chew and swallow. Sip fluids throughout the day, particularly if your mouth is blistered. Avoid strong aromas that might increase your nausea. Avoid hot foods, particularly those with steam. Steam carries nausea-producing aromas. If eating or chewing solid food becomes too painful, sip nutritional supplement drinks such as Boost or Ensure. 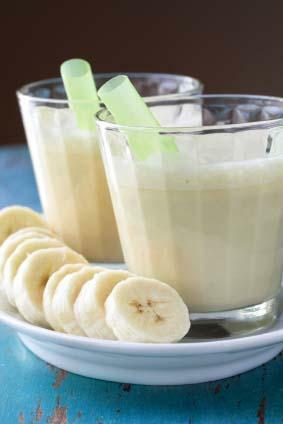 Make blender drinks from fresh fruits combined with soy or whey protein powders. Your doctor and dietician will want you to get as many nutrients as possible from whole foods; however, they may also recommend that you supplement your eating by adding powdered or liquid nutritional supplements to blender drinks. Be sure and ask them for their ideas on what you should be eating and in what quantities.